One of the participants in Credit Card transaction is the Cardholder who is solicited, screened and approved by the issuer. The letter establishes a line of credit for the customer and issues the credit card. The Cardholder uses the credit card either to purchase goods and services from a merchant or obtain a cash advance from a member for which the cardholder receives a monthly bill from the issuer. 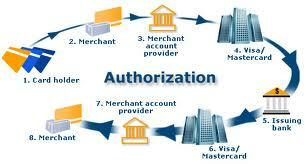 The acquirer usually charges the merchant a merchant discount for handling the transactions. The acquirer is licensed by Master card and /Visa and agrees to follow the operating rules and regulations of the two associations. Master Card/Visa provides various services to the acquirer, including authorization and settlement processing, interchange and resolution to member disputes. Many financial institutions are both issuers and acquirers: As issuers they maintain the cardholder relationship. As acquirers, they maintain the merchant relationship. How does the Bank Network? Like other Telecommunication all data pass through a central switching center (a star network configuration). Through the world Master card has 16 switching center. Among those 7 switches are exits in US and rest of them exits in whole world. In Asia, 2 switches are in Bahrain & Singapore. Recent Master card is going to establish more switch .This network is very fast and expensive. The Bank network offers several routes that information can travel along to arrive at any given distention. This is called a distributed network & also referred to as Peer-to- Peer (PTP) architecture. Compare to Star network it is cheaper. Provide member host access to Bank net, which lets bank authorization, as well as send and receive Inter Bank Network for Electronic Transfer (INET) files and a variety of reports. MIPs are joined to the Bank network through Tele communication centers called ‘Nodes’ or ‘Switches’. Each node is like an intersection on the system, which access to at least two other nodes. Before entering the network, a member’s data enclosed in a packet by the sending MIP. When a packet reaches its destination, the receiving MIP arranges all the packets in sequences for processing. On-line – Banks host computer can be directly connected to an on- site MIP at bank business location. Bank can communicate to an off-site MIP using standard communication software and locally available Telecommunication access. Members who are in remote areas or do not have the transaction volume to warrant using on-site MIP may find MIP sharing a viable option. Off- line – Bank can use Bank net PC file express a personal computer connection to the Master Card mainframe in St Louis, for sending and receiving bulk files over Telephone lines. Bank can use Computer-Assisted Telex Services (CATS), an authorization processing system offered to members who are not on-line. a) Checks data captured from merchant documents to ensure that format meets master card standards. b) Stores records into issuing ICA member sequence and classify transactions by merchant to minimize the transaction and processing time and cost. c) Creates a proper file with numerically stored records. e) Transmits data in the appropriate format. f) Keeps a transmission log or a listing of each transmission. g) Re-submits any items, batches or transmissions that have been declined for any reason by Master card. a) Edits balances and distributes transaction data received from acquiring and issuing members. b) For all transaction calculates each member’s daily net settlement figure, sends figures to each member and the member’s clearing bank and to master card net settlement bank. c) Verifies and when necessary, adjusts batch amounts and fee calculations. d) Rejects invalid records, batches or transmission and notifies sending members of rejection. e) Updates acquirers interchange files to confirm that transmission have been received accepted. f) Sorts and accepts incoming batches. g) Produces and distributes outgoing inter change transmission files for each participating member. a) Edits and balances records received from INET. b) Updates cardholder accounts and reconciles net settlement data. Master card offers this service to accommodate members in the same country who need to clear all their transactions through INET and who desire to settle transaction with in the country in their local currency. Members participating in local settlement process their domestic transaction through a local settlement bank at an agreed upon inter change rate(s). Master card credit and debit advisement are sent to a member designated local bank. a) Master Card Signature Panel: Signature panel helps to avoid fraudulent activities also provides authentication of the cardholder. b) Identification of Card Source: The ordering member or affiliates ICA number the month and the year the order was placed and the manufacturer’s name placement of this information on the card is at the card designer’s discretion. c) Expiration Date: No longer than two years from the issue date. d) Master Card Embossed Characters: A special character, which is difficult to reproduce. This is appeared on the front of the cards. e) Hologram: A three dimensional insignia created with a laser. f) Indent Printing: Account number printed in reverse italic type on the card signature panel. g) Two-Card Validation Codes: One of these 3 digits codes in printed on the signature panel following the account number and other is encoded on the magnetic stripe.